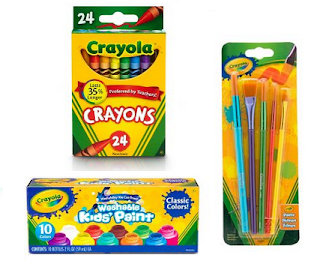 Today only Target is offering a free $5 Target Gift Card when you spend $25 on select Crayola products. Plus, many Crayola products are on sale for up to 20% off, and there are Crayola Cartwheel offers available too. If you are shopping online, first apply the Cartwheel Savings Offer and then add the items to your cart and select free in-store pickup or drive up at checkout.